Exclusive! Daughters are a blessing. 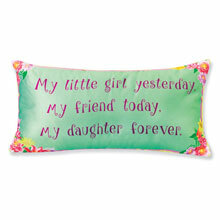 Let your special girl know just how you feel with this colorful floral pillow printed with a beautiful sentiment sure to touch her heart. 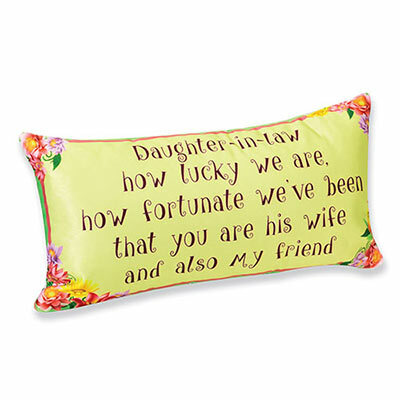 Our Daughter-in-Law Pillow has a printed front and white back. Spot clean. Imported. 12" x 6". Hurry! Quantities are limited!